BRIAN S. BROOKS came to the Missouri School of Journalism in 1974 after working in Vietnam as an information officer (for which he received a bronze star) and as a reporter, copy editor and night city editor at the Memphis (Tenn.) Press-Scimitar. He served as news editor and then as editor of the Columbia Missourian before becoming director of the Journalism Network in 1989. Along with faculty member Phill Brooks, he was responsible for bringing a $15 million grant from IBM Corporation to the School of Journalism from 1989 to 1997. While on sabbatical from 1997 to 1999, Brooks was editor of The Stars and Stripes, the U.S. military newspaper in Europe. He directed that newspaper’s coverage of the Bosnia mission, the U.S. entry into Kosovo and the bombing of Belgrade. For this work, he was awarded the Department of Defense Civilian Distinguished Service Medal. For more than 40 years, Brooks served as deputy director or director of the Dow Jones Newspaper Fund editing internship program at Missouri. Students from schools nationwide trained at the summer workshop for careers as newspaper copy editors. He is the author or co-author of four major journalism textbooks, including The Art of Editing (Routledge, 2018). 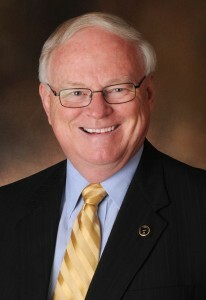 Brooks was chairman of the school’s editorial department from 1999 until January 2003, when he became associate dean for undergraduate studies and administration. That same year he was named Outstanding Faculty Member on campus by the MU Greek system. He was inducted into the Missouri Press Association’s Newspaper Hall of Fame in 2009. Brooks holds bachelor’s and master’s degrees from the Missouri School of Journalism. Brian S. Brooks, Jean Gaddy Wilson, James L. Pinson. Working With Words, 9th Edition, New York: Bedford/St. Martin's Press, 2017. Includes an instructor's manual. Brian S. Brooks, James L. Pinson. The Art of Editing in the Age of Convergence, 11th Edition, Boston, MA: Pearson Allyn & Bacon, 2018. Includes a workbook. This book also is published in Chinese. Brian S. Brooks. Journalism in the Information Age, Boston, MA; Allyn & Bacon, 1997. Apr 22, 2005: USA Today Editor: "It is amazing we have fallen so far in the eyes of the public"
Oct 3, 2002: Missouri School of Journalism Hosts Symposium in D.C.